Susan’s family is large, here and in Italy. In Italy there are too many to count. But they have welcomed me and made me feel like I am one of them! When we talk about Susan’s family we are talking about a lot of People! There is Christina, Caesar, Joe and Anna, Pierina, Franca and Franco, Armando, another Franco, Celso and ….. . Well, you get my point. But I will try to describe everyone as they come up in the pictures. This is easy to figure out for them but for the rest of us, well, not so much! 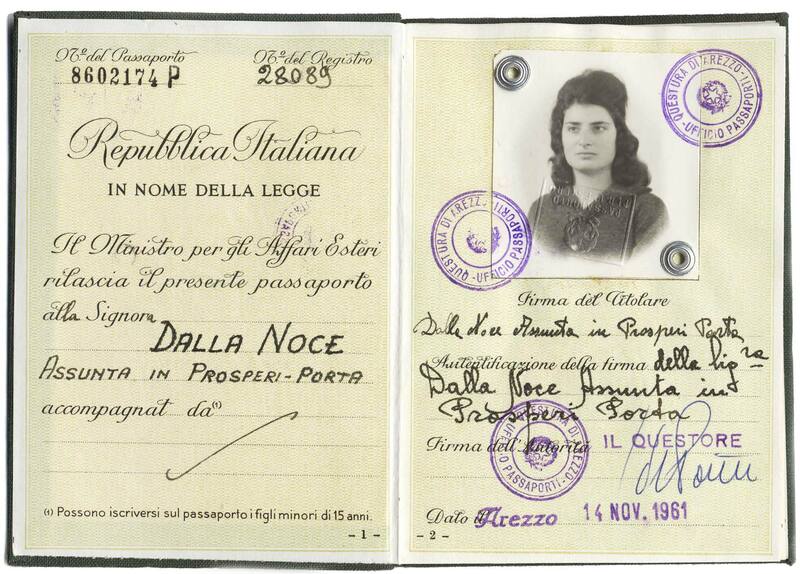 Susan’s family last name is “dalla Noce” and in Italy a woman continues to use her maiden name unless she is being mentioned or introduced with her husband. When she married her husband, Guido, had a double barreled last name: “Prosperi Porta”. But to make it even more confusing, there was no hyphen between the names. And, in fact, they seldom used the full name and so most people now know Susan as simply “Susan Porta”. Oh, and did I mention her name is not Susan? Like many immigrant’s, when she arrived she assumed a more Anglicized name and chose Susan. 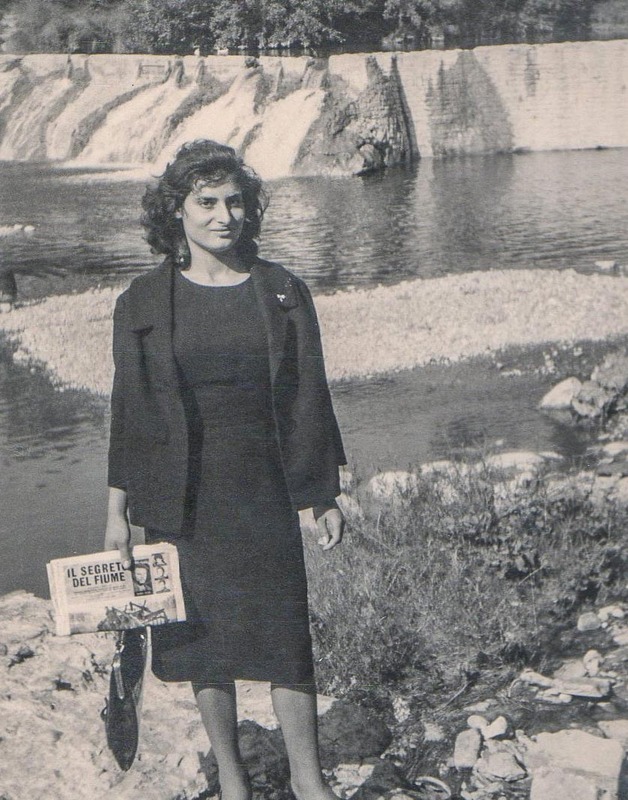 In fact, as she was born on the Feast of the Assumption (look it up if you don’t know what that is), 15 August, and so she was named “Assunta” but the family has always called her “Assuntina” which means little Assunta. Photography before the 1950’s used to be a complicated process: you bought film, you took pictures in cameras without light meters, without focusing, you sent it off for processing and you got prints back. But half of those were not useable and the prints that were good often faded and turned brown after ten or twenty years. And so it’s hard to find photographs that go back before the 60’s and 70’s. This was especially true in Italy that suffered terribly during the Second War. So early photos are real treasures. 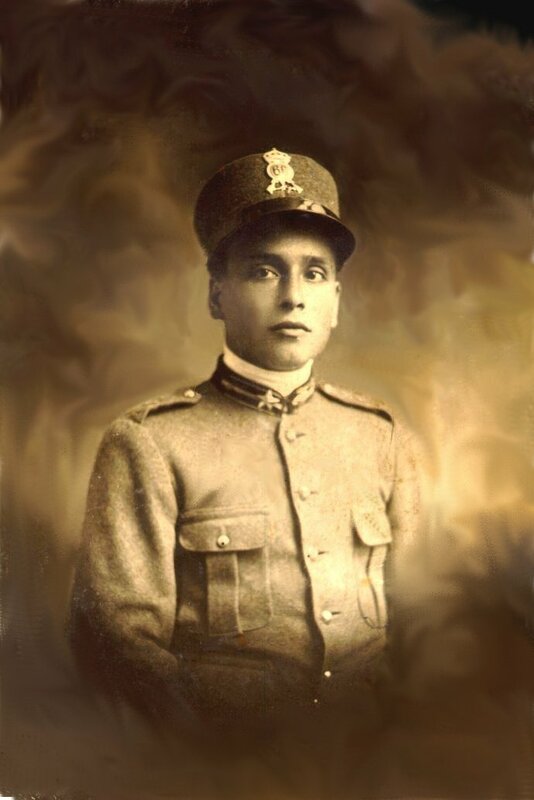 This is a photo of Susan’s dad, Rafaello, in his army uniform. Stefano sent me the following collection of five photos which include images of Susan before she came to Canada. 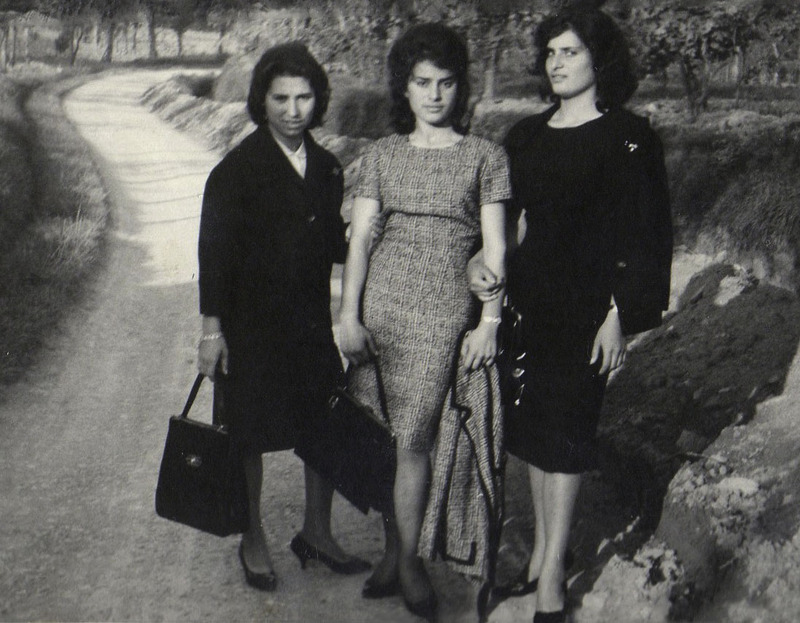 That is Susan on the left standing by her sister Franca. The priest is Don Armando and next to him is Susan’s brother Armando. The similarity of names is a coincidence. 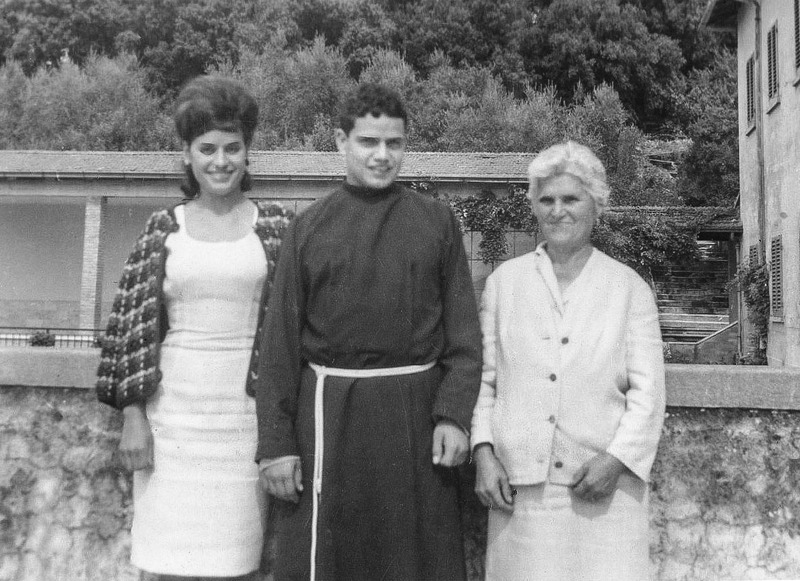 Then there is Benito and on the Right is Susan’s mother. 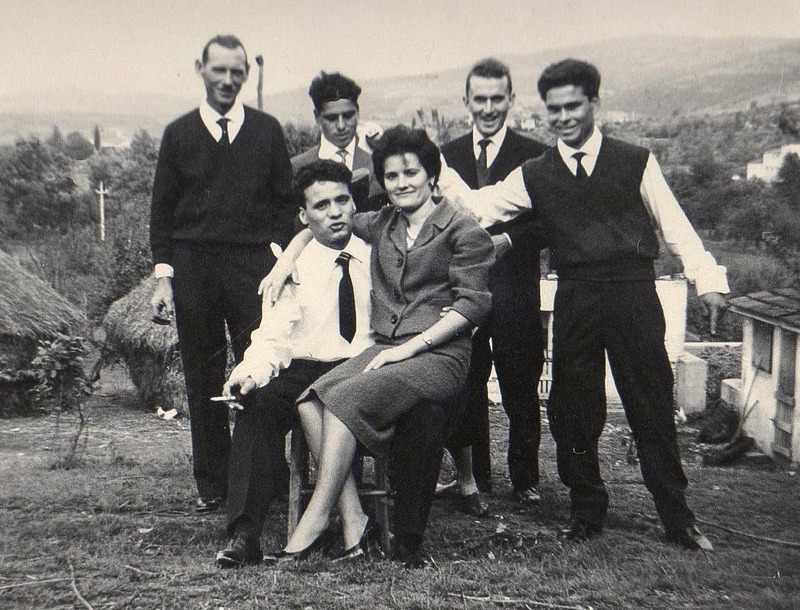 The young lady between Benito and Mother is a friend but Susan cannot recall her name. This is Susan before she came to Canada. Behind her is probably the Arno near Capolona but she does not remember this photo being taken. Seated in the front is Armando with Louisa sitting in his lap. Behind on the left is Mario Polverini, a friend of Franco’s and who eventually became his partner. Next to him is Agosto, then Mario and finally Benito. On the left is Theresa, the wife of Benito at the time. She died several years later. In the middle is Franca and that is Susan on the right. 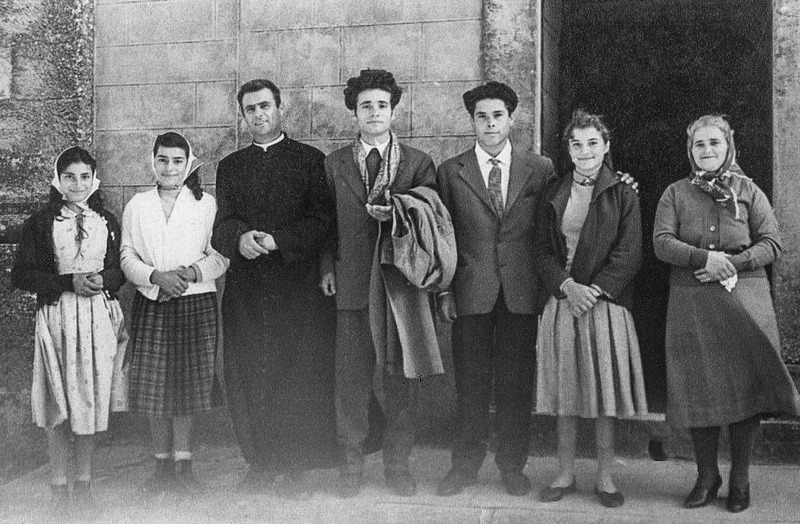 And finally, this is Franca standing with Celso who was studying in a seminary at the time. On the right is their Mother. 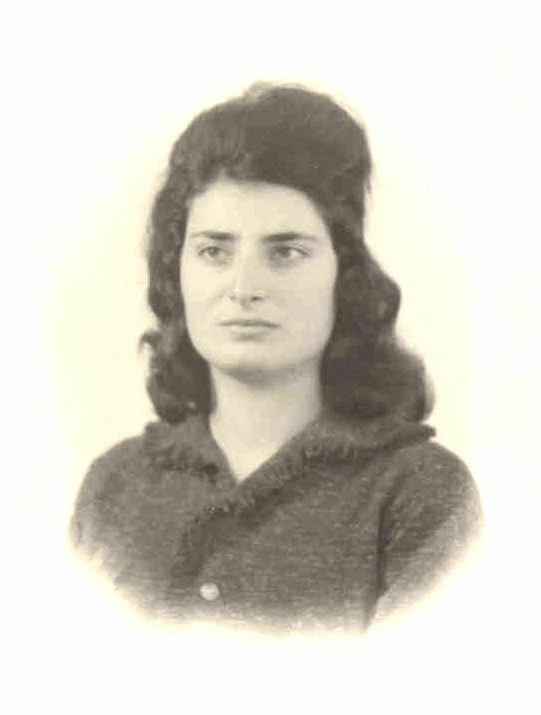 Susan was married to Guido in the Duomo in Arezzo and after a brief honeymoon in Italy she left her country for Canada and her new life. This is her first passport with her picture at the time she left. She arrived in Canada Christmas Eve of 1961.